Inspired by the exhibition It’s Alive: Frankenstein at 200, express your inner Dr. Frankenstein and bring to life a fictional creature of your own! 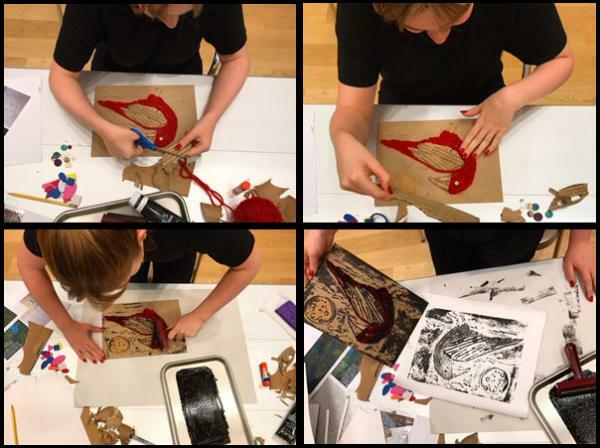 Delve into this experimental process by collaging an assortment of recycled and found textures, decorative papers, and scraps to create a printing plate and relief prints. Led by Jennifer Comer, artist and Assistant Manager of School Programs. Program consists of a thirty minute exhibition experience followed by a ninety minute art-making activity. Materials included. Each ticket is valid for one child and up to two adults.